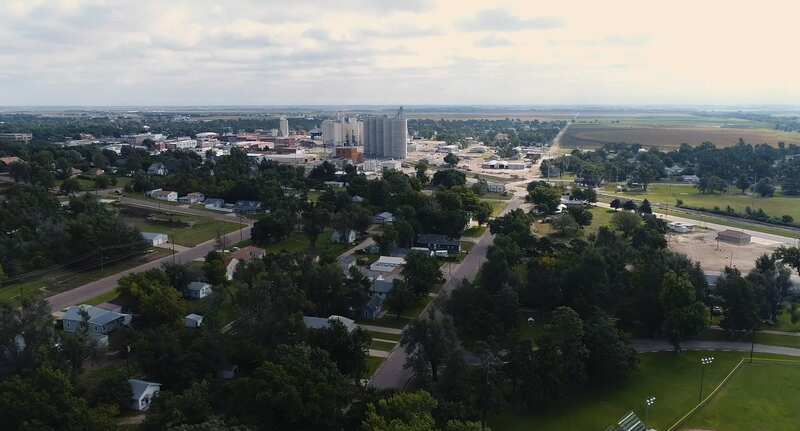 The city of Larned and Pawnee County, like many small communities, has experienced a decline in population as industries have changed and younger generations have opted for the bright lights of larger cities. Unlike many small towns, Larned was not content to sit idly and accept the changes that were affecting their livelihood. 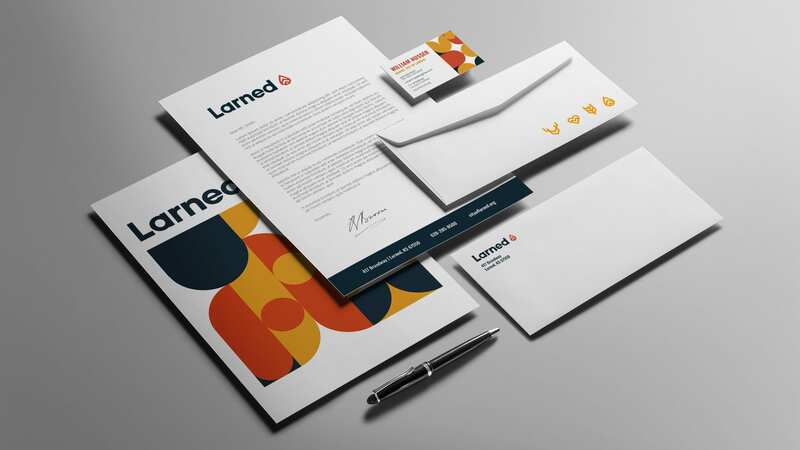 The community opted for a full rebrand and aggressive campaign to showcase the wonderful quality of life and employment opportunities in order to attract a new audience. Through our meetings, research, and visits to Larned, we fell for the community and its people. Every community member we met is a brand champion, on fire for the city and the great things it has provided them. Distilling their enthusiasm into a simple message was important because it gave the community members a rallying point. To make the story of Larned easily understood, we began by categorizing the things that make the community great and unique. 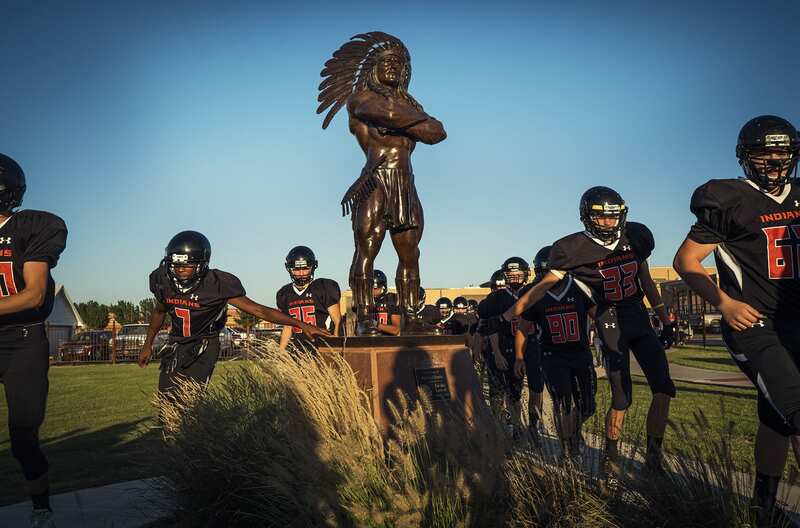 The arrowhead was chosen as the primary mark for the city because of its ability to tie Larned’s history to its future. Arrowheads symbolize alertness and direction, as well as power and protection. The arrowhead is also a symbol of innovation. Its creation dramatically impacted early civilization and changed their ability to survive and prosper. In its orientation, the mark is intentionally pointed up to signify the trajectory of Larned and Pawnee County. 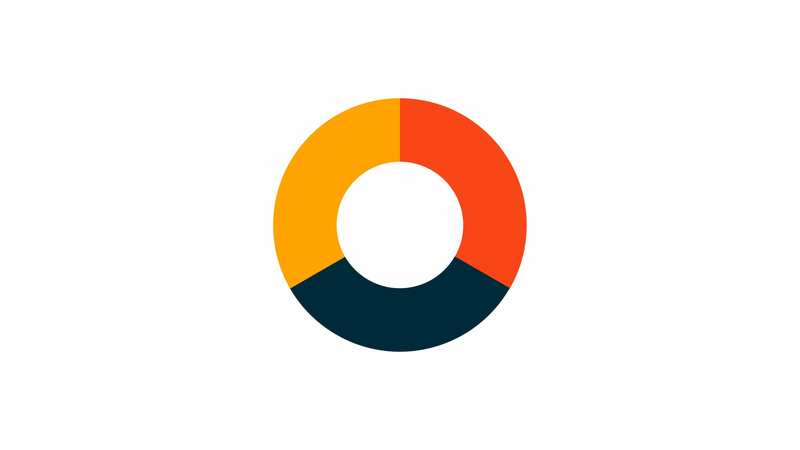 The color palette for the brand was intentionally chosen to feel familiar to the audience but incorporate the larger story. The three colors, Harvest, Brave, and Denim compliment each other nicely and individually tell a piece of the Larned story. 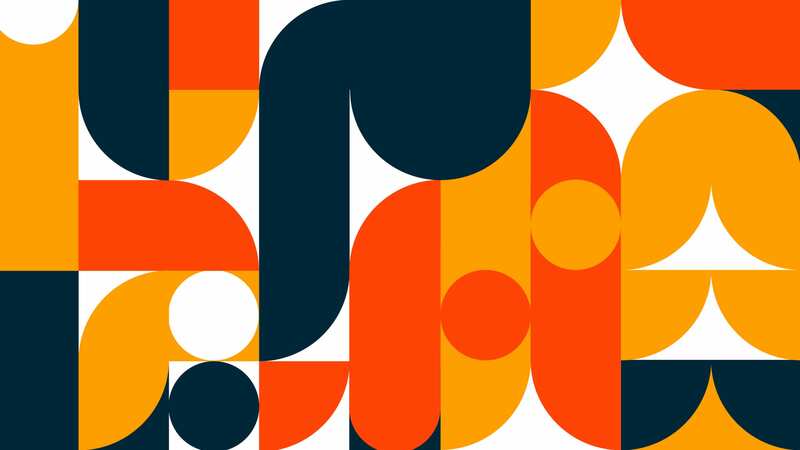 In color theory, oranges denote friendliness and cheerful confidence. Yellows evoke feelings of optimism while the navy elicits trust, dependability, and strength. We are in the heart of flyover country. When viewed from a plane, the fields and open land of Kansas create beauty and awe that we want to celebrate. To incorporate this part of the story, we developed patterns from the familiar sight of tended fields. The crops are familiar to all of Kansas, the presentation is uniquely Larned. Connection to the soil is important. 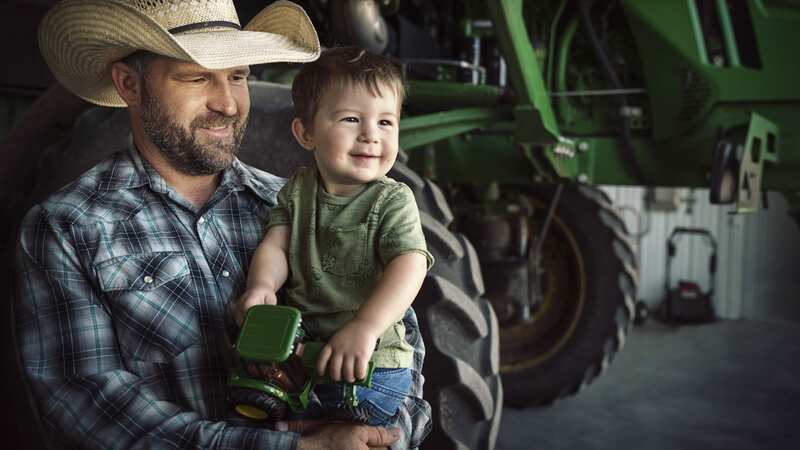 The roots of Larned’s economy are planted in agriculture and this firm foundation provides an opportunity for anyone with an entrepreneurial spirit and strong work ethic. 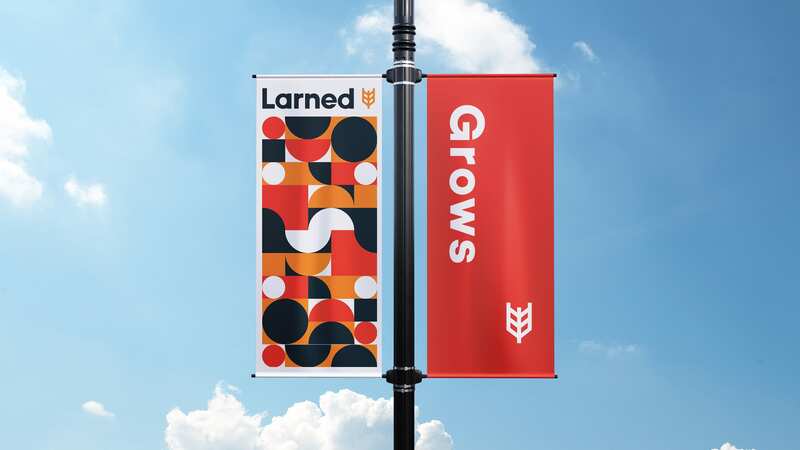 This is how Larned Grows. The heart of the people of Larned and Pawnee County is their defining characteristic. The heart of the community is shown through 100 years of exceptional care through the state hospital and through a new state-of-the-art medical facility. It is shown every day through the citizens and their actions. 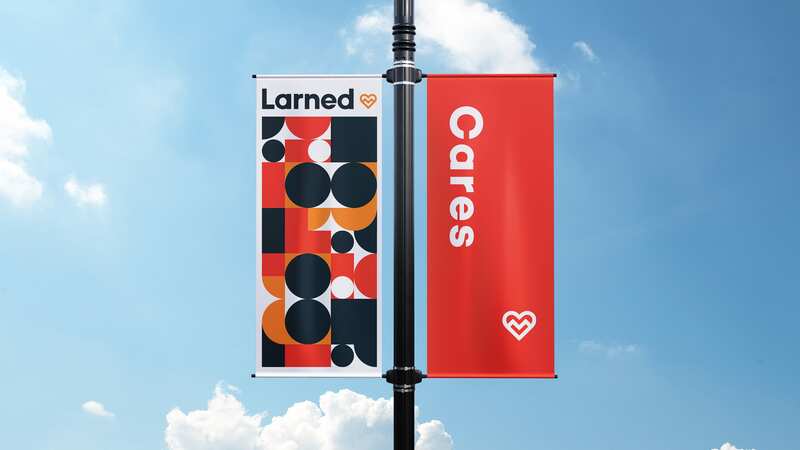 Larned thrives because Larned Cares. The area is rich in history and presents great opportunity to seek adventure. Traveling the Santa Fe Trail, or exploring Fort Larned provide one-of-a-kind experiences. The outdoors provides entertainment options for all. 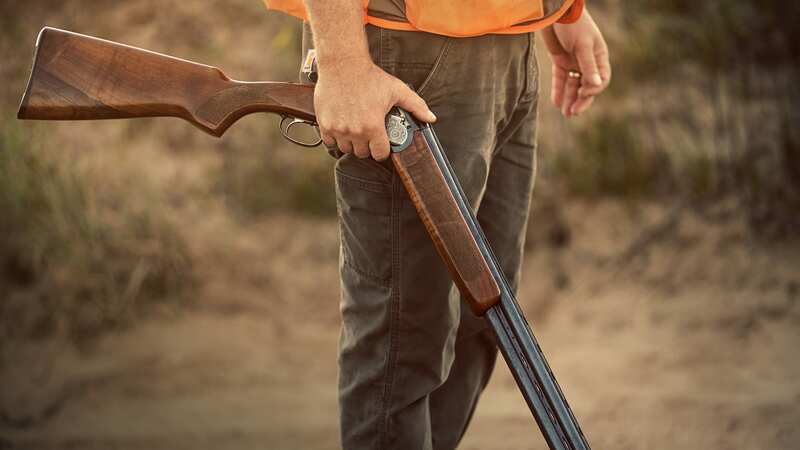 Hunting, fishing, boating, hiking, racing, running, golfing; these are just a few of the many ways Larned Explores. 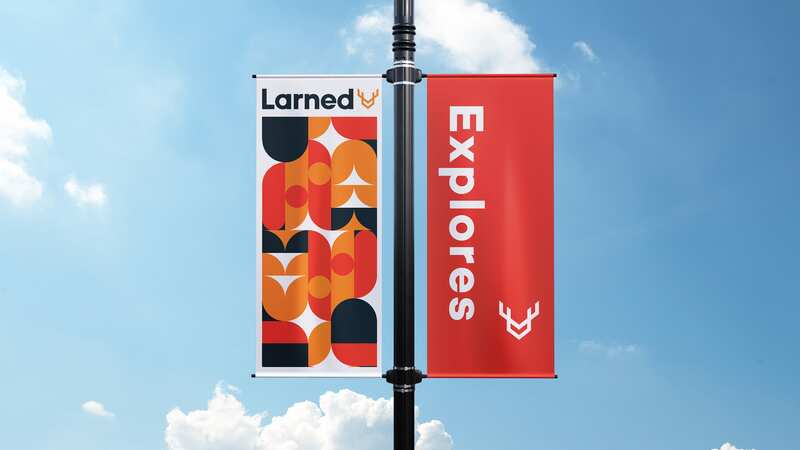 Opportunities to grow, care, and explore are key components of the Larned experience. 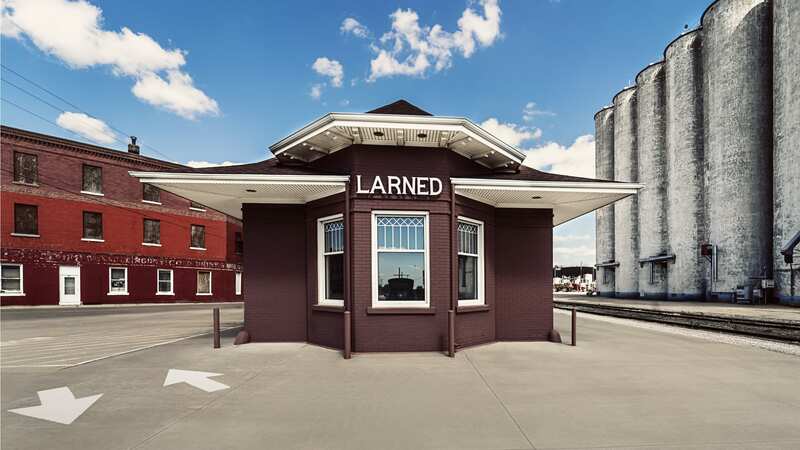 Larned celebrates its history and uses it to shape the future. When someone needs help, Larned helps. When someone has a big idea, Larned shows them how to act on it. The people make the community special. But it is the thoughtful leadership of the community that allows these wonderful things to happen. 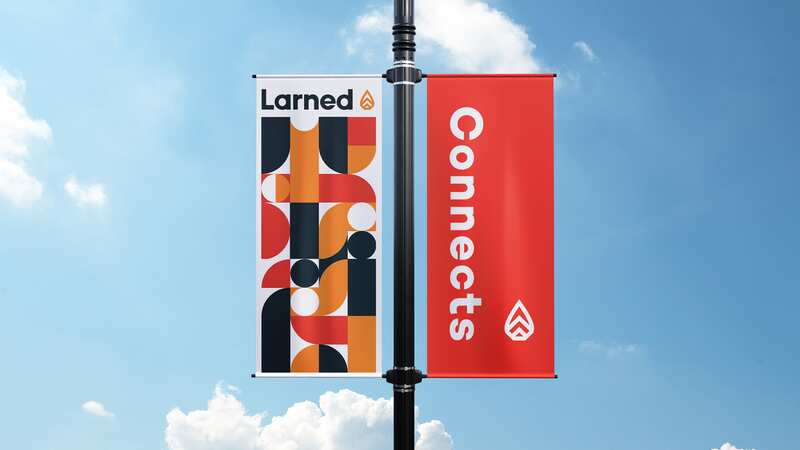 Larned Connects its people to their potential. Our community is rooted in service and pride. Through service to our fellow citizens, we grow. Though you may not see the roots because they are buried, the bloom that shows is more beautiful because they are planted in purpose. We are often defined by what we have and what we do. This is the appeal of a larger city. It is full of opportunity and options. The options of life are important and they come at a price. Not just monetary, they also cost us our freedom. The city life is about assimilation; blend in so you don’t stand out. HOAs and city ordinances demand conformity and offer little chance to be included in the feedback loop. When we seek more, we ask less. What does this cost me? Is this who I am? Larned redefines quality of life. They understand better than any that life offers little fulfillment and meaning if it is not lived. Larned State Hospital is Pawnee County’s largest employer. The state hospital has been a central fixture in the community for more than 100 years. Recruiting qualified candidates can be challenging, compounded by the location of the hospital and the unfavorable stigma of work in the mental health field. Our campaign seeks to break the stigma of mental health by being candid about its prevalence and inviting the audience to be part of the solution. Through video, we were able to show the infectious heart and passion of the Larned State Hospital staff. 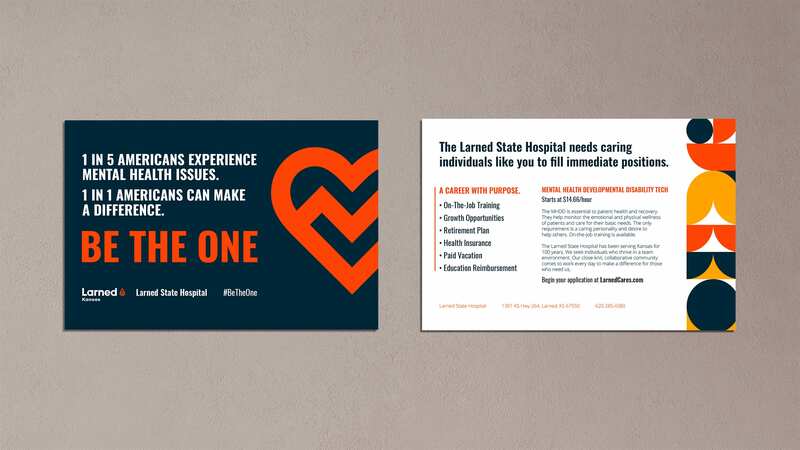 Larned and Pawnee County’s new brand rejuvenated their community. The excitement extended beyond the city limits as former residents began sharing the new brand and celebrating their home town. 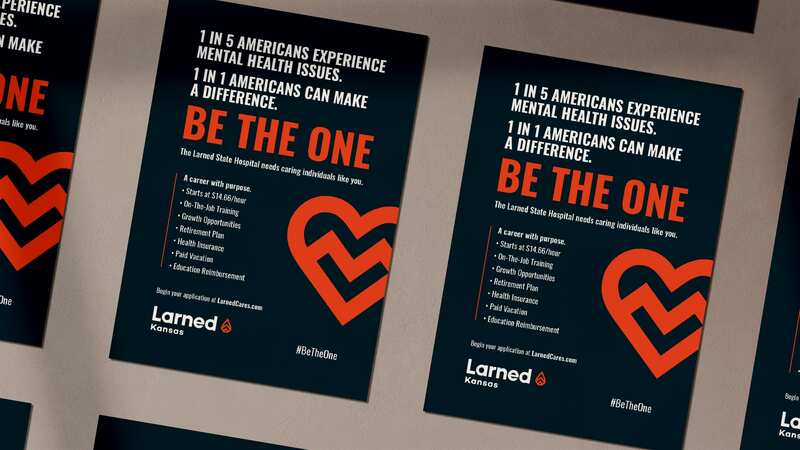 In its first month, LarnedCares.com received nearly 1,000 page views generated from a single Facebook announcement. 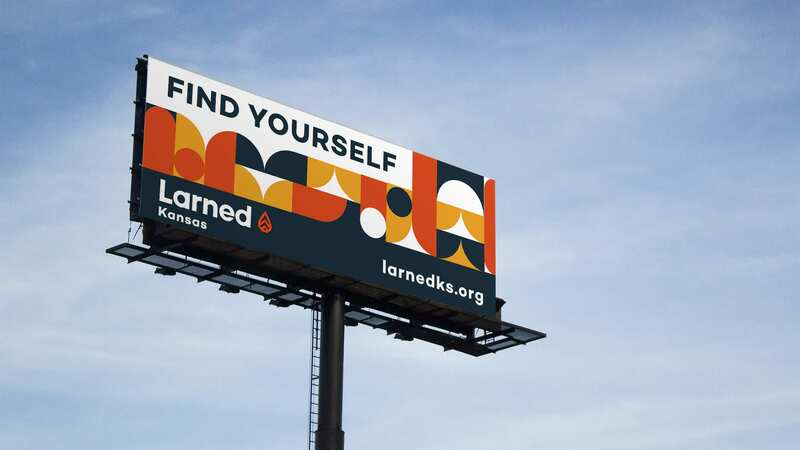 With foundational branding and messaging in place, the leadership at Larned is prepared to begin initiating campaigns and advertising to share their new brand with the world. The best is yet to come for Larned and Pawnee County!